One of the questions I get asked often is: 'So, what DO you eat for breakfast?' With eggs, milk and sausages (to name a few vegan no-no's) out of the way, it might seem like there isn't much left. But that couldn't be further from the truth. 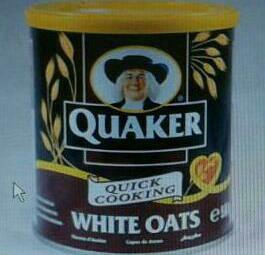 Throwback: If you grew up in Nigeria then I'm sure you're familiar with the yellow-topped tin of Quaker Oats. Along with Golden Morn and Milo, this was high up there on the list of food-mum-forces-me-to-eat-before-heading-off-to-school breakfast foods. 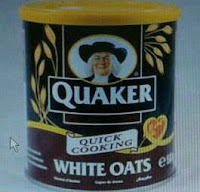 Now that I'm old enough to appreciate the nutritional value of porridge oats, however, it has become somewhat of a staple. Get your hands on some organic oats and follow the cooking instructions on the pack. Use one part water, one part unsweetened almond milk in place of regular milk. 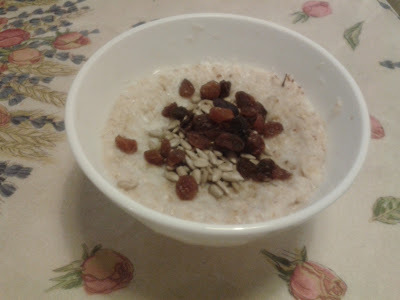 Top your steaming hot porridge with raisins, sunflower seeds and chopped almonds. Fresh fruit like banana and sliced mango work great too.